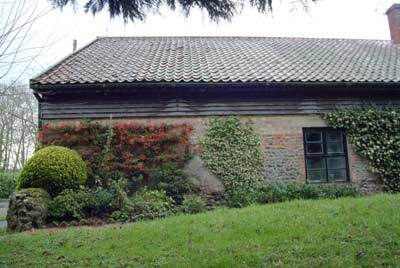 Swafield water mill was originally built of weatherboard with brick base and a Norfolk pantiled roof. This was a small mill, being 3 storeys high with loft space. 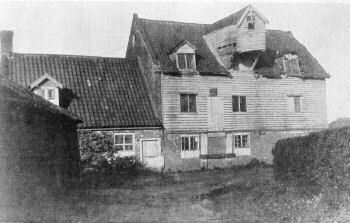 The mill was actually in the parish of North Walsham although the mill house was in Swafield. 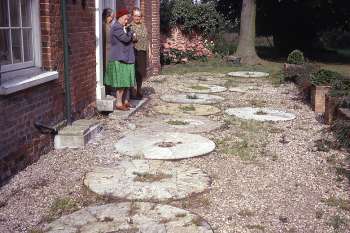 In 1831 the wheel was powering two pairs of stones and two flour mills from water supplied by what appeared to be a cut in the North Walsham & Dilham Canal. 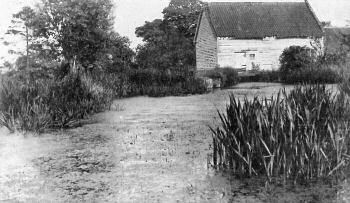 However, the mill was actually on the River Ant, which was the original watercourse and predated the canal. 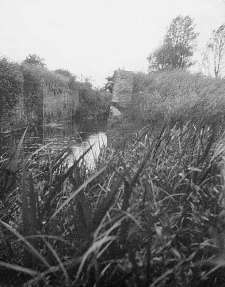 By 1967 all that was left was the brick base as the water course had been diverted back to the canal course with the mill dam and millpool being filled in. 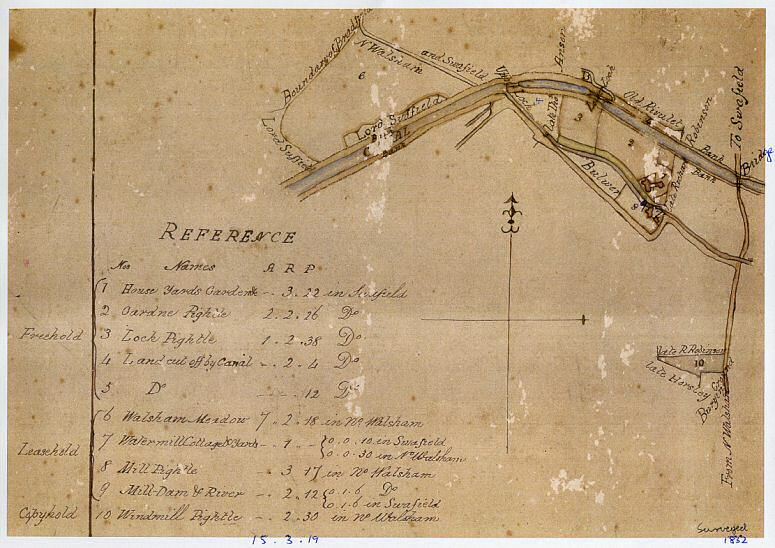 Assignment of Land and Bargain and Sale of Windmill, Tackle and Appurtenances in Southrepps. North Walsham, Nov. 20, 1783.
at Four o'Clock in the Afternoon of the same Day. -- This Alteration takes place on Thursday the 11th Day of December, 1783. 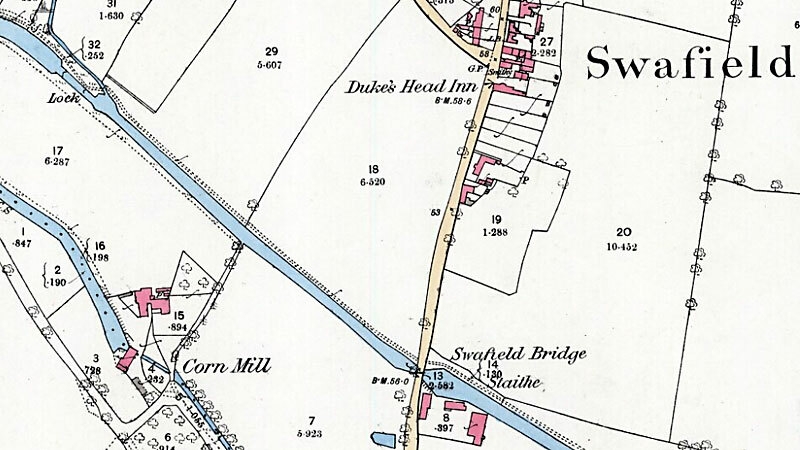 Those desirable MILLS called SWAFIELD MILLS (being a Water Mill and a Wind_Mill). 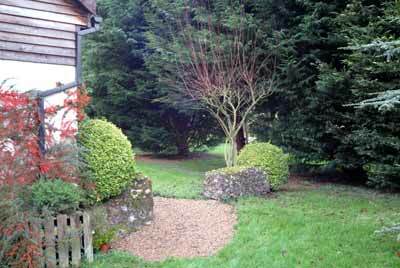 Also a capital new-built DWELLING HOUSE with Yard and Garden Ground. Granary, Stables & convenient Outhouses to the same belonging and 14 Acres, more or less, of good Meadow and Arable Land lying contiguous, situate and being in Swafield and North Walsham in the county of Norfolk, now in the occupation of Mr. George SHREEVE on Lease which expires on the 1st February 1788. These Mills are in good Trade and conveniently situated for a more extensive Trade, being within a Mile of North Walsham Market which is esteemed the best Corn Market in the County & within 5 miles of Dilham, from whence the River is navigable to Great Yarmouth. Possession may be had at Michaelmas next, the present Tenant having purchased an Estate in the Neighbourhood, which he intends entering upon at Michaelmas. Particulars may be had by applying to Mr. William SACHER or Mr. George SHREEVE of Swafield; Mr. Richard ALLEN, Flour Merchant, Great Yarmouth or Mr. William DEARN, Attorney, North Walsham. 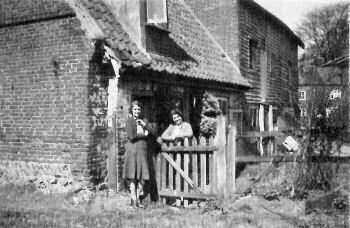 A most desirable situation for a Miller, comprising an excellent WATER MILL, Windmill, cottage part of a Dwelling house and 20 acres of arable and meadow Land, situate at Swafield, within one mile of North Walsham, a good corn market, late in the occupation of Mr. John Woollsey and now in the occupation of Mr. Edward Press. Apply to Mr. Press on the Premises, Mr. Thomas Press, Loddon or Messrs. Woollsey, Yarmouth. Edward Press went on to run Gt Yarmouth Southtown Green Cap mill, where he was in 1853. A Desirable Situation comprising a Water Mill ... with a most substantial POST_WINDMILL built principally with oak. 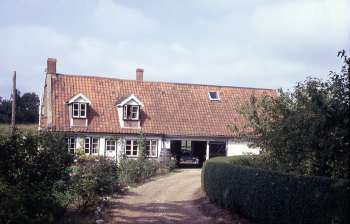 Attached to the Water Mill is a neat and convenient Dwelling house with a good barn, stable, hayhouse and various other offices, with about eight acres of capital meadow and arable Land, all Freehold. Apply to Mr. Dyball, Engineer, North Walsham. The above will be Sold either together or separately; if sold separately, the Windmill is to be removed. A Water Corn Mill and Post_Wind_Mill with an excellent House, garden, stables etc. and about 16 acres of Arable and Pasture Land, situate at Swafield near North Walsham, Norfolk. The New Canal from Yarmouth to Antingham runs directly alongside the land adjoining the Water Mill. Apply to Mr. Woollsey, Yarmouth or on a Thursday to him at the Kings Arms Inn, North Walsham. Pursuant to CVertain Orders of the Commissioners under a Commission of Bankrupt awarded and issued against JOHN WOOLSEY & JOHN SECKER of Great Yarmouth in the county of Norfolk, Wine & Spirit Merchants, Dealers & Chapmen and on the application of the Mortgagees the following ESTATES at teh respective places aforementioned. To be Sold by Auction under a Commission of Bankrupt awarded against John Woollsey and John Secker of Great Yarmouth, wine and spirit merchants, dealers and chapmen, and on the application of the Mortgagees, at the Bear Inn, Bridge Foot, Great Yarmouth, on 8 September. Lot 3. To be Sold by Auction at the King's Arms Inn, North Walsham 8 September. All that capital dwelling house, outbuildings, yard etc. together with the Water Mill, cottage and granaries adjoining, and also a Wind_Mill. The premises are situated in Swafield and North Walsham, and are now in the occupation of Mr. Benjamin Postle Woollsey, as tenant from year to year. The Watermill and cottages etc. are leasehold of the Bishop of Norwich for a term of 21 years commencing 10 October 1827, at an annual rent of £3-13-4d. The Mill commands a good head of water, and drives two pairs of stones and two flour mills. The Windmill, which is in excellent repair, is copyhold of the Manor of North Walsham. 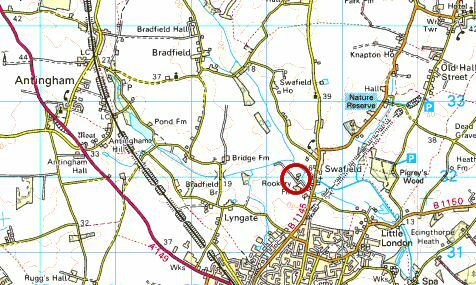 SWAFIELD MILLS, Dwelling house, Granaries and several Inclosures of Arable and Pasture Land will be Sold by Auction in separate Lots sometime in the month of October next of which due notice will be given in future papers unless sooner disposed of by Private Contract. Particulars on application to James Wright, Land Surveyor, North Walsham. North Walsham, 22 September 1831. All Persons to whom Benjamin Postle Woollsey late of Swafield in the County of Norfolk was indebted at the time of his decease, are requested to send an account of their several demands to me or to my Co-Executor, John Woollsey of Swafield aforesaid, Miller and all persons who stand indebted to the said Benjamin Postle Woollsey at the time of his death are requested to pay the amount of their respective debts to me or to the said John Woollsey within one month of this date. Robert Page married Benjamin Postle Woollsey's daughter Charlotte and took over the mill on the death of Benjamin Woollsey on 1st October 1860 after allegedly having fallen into the lock. In 1858 Robert Page was running Swanton_Abbott_towermill. FATAL ACCIDENT - On Monday afternoon Mr. Benjamin Postle Woollsey of Swafield, miller and farmer, on crossing the upper lock of the canal at Swafield (which he had been accustomed very frequently to do) for the purpose of seeing after his workmen, that being much the nearer route, it is supposed that he was taken with giddiness in the head, from which he had lately suffered considerably and falling into the river was unfortunately drowned. Mr. Woollsey had been cautioned by his medical man against crossing this dangerous place, which few other persons but himself ventured to do. As his business required him to be frequently from home, no particular account was taken of his absence till a very late hour, when on search being made, his body was found in the river quite close to the lock. 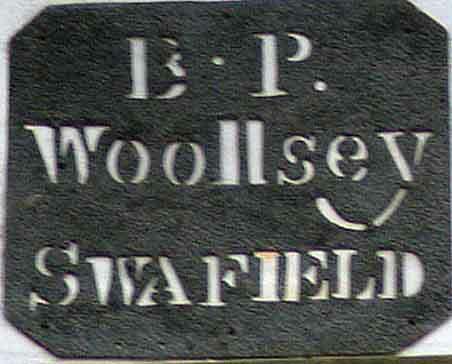 of B. P. Woollsey decd. In the 18th century, they belonged to the Seckers, that interesting family of Norfolk Quakers, whose most distinguished member was John Secker the seaman (1716-1795). (The transcript of his journal in Norwich Public Library has already been the subject of an article on this page.) John was born in the water-mill at Swafield; his father soon moved to a mill at Buxton_Lamas, but the Swafield mill remained in the family, for John's brother and widowed mother were living there in 1755. The Seckers touched the corn trade at many points - John's cousin, William Palmer, grew corn; Uncle John Sparshall at Southrepps was a maltster and dealer; Cousin Thomas Parson at Wells was the master of a sloop engaged in the export trade; while Cousin Joseph Sparshall, of Wells, found the cargo. 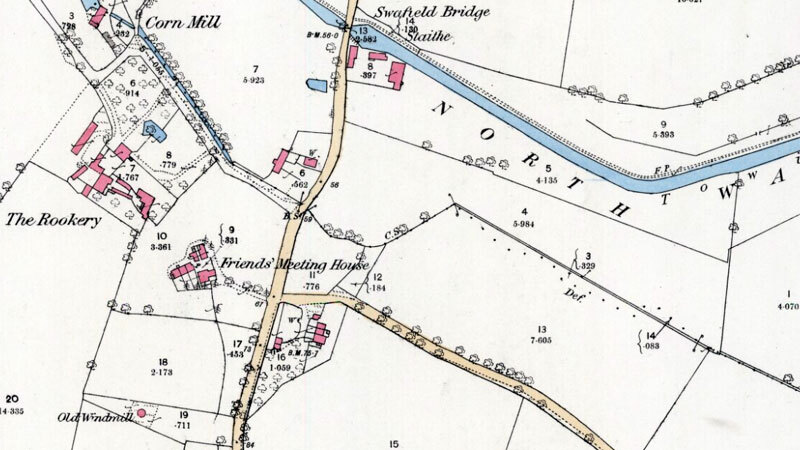 The Seckers themselves concentrated on milling; they had mills at Swafield, Buxton and Southrepps. Quaker business enterprises were interlocked, just as Quaker families were, and a high standard of honesty was insisted on by the Meeting, debtors were rebuked, bankrupts expelled. No longer regarded as dangerous religious fanatics, the 18th century Quakers prospered in business; they were industrious, and they were trusted. At the end of the 18th century the corn business was booming. The population was growing, the standard of life rising, the labouring classes had abandoned the black bread of their forefathers and would eat nothing but wheat flour. Then came the long war with France - nothing could be imported to feed the growing the manufacturing towns. Wheat reached famine prices. The Seckers shared in the boom. In 1768 John Ransome, of North Walsham, had bought a small piece of land and build a windmill on it - a post_mill. His neighbour undertook not to plant trees or place any obstruction "so as in any manner to incommode or prevent the wind or air from coming to the piece of land." If he broke the agreement John Ransome could enter his land and remove the obstruction. This is the mill whose remains, just outside North Walsham on the Mundesley road, are so often mistaken for a gibbet. In 1779 Isaac Secker bought this mill, the mill house, and the land that went with it. At that time he was probably working the water-mill in partnership with his father, William Secker; in 1783 William retired, and leased the mill to his son. By then Isaac had built a handsome Georgian front to the mill house (his initials still adorn the side wall). It was a severe and dignified house, as befitted a respectable Quaker, but its size and little elegancies - the pelasters at the corners, a scroll-like curve on the bottom step - show that there was money to spare. Yet the Seckers were still simple people. In 1797 William married again, and his wife, Esther Barber, was illiterate, as were four of the relatives who signed the marriage certificate. Until a few weeks ago Isaac Secker's portrait hung in the old house. It shows a well-set up man, with a long face and a long nose, and a commanding, but slightly anxious, expression. He may well have looked anxious; he had paid out a lot of money between 1779 and 1783; the property was mortgaged, and in 1785 the mortgage was increased. The war-time boom could not last for ever, and in 1831 his grandson John, to whom he had left the mill, was bankrupt. 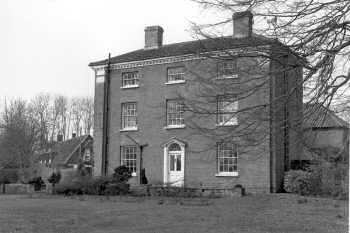 The estate passed to the Seckers' relatives, the Woollseys. The water-mill was worked until about 1912; the post_mill was used occasionally up to 1880. But by then the bottom had fallen out of country milling. Huge new steam mills stood at the ports to grind the imported corn on which the country was now fed; the Swafield mills were reduced to grinding feed for stock and selling offal. Now the mills, which have been for the past two centuries at least in the hands of these two related families, have been in the market. The documents on which this account is based were brought to my notice by Mr. Stanley Watts, of North Walsham. Such records are particularly valuable. It is comparatively easy to reconstruct the lives of the gentry in past times, but the equally significant lives of less exalted persons are shrouded in obscurity. We know almost nothing about the rural middle-class who played such an important part in 18th century village life. It may be that there is still more to be discovered about the Secker family. Where are the records of the Swafield Quaker Meeting House? Who has got the Secker family Bible? Where is the original MS of John Secker's journal? I wish I knew. Easter Sparshall, daughter of Joseph Sparshall of Welbourne, married Isaac Secker. Easter's brother John married Mary Southgate and their son Thomas later went on to run mills at Yarmouth, which were then inherited by Thomas' brother John on Thomas' death. Up a very quiet lane and past a few modern cottages that Grandma told us were the old mill cottages that have been done up, we came to the Mill House. You have to go round a windy drive to get to it now, there used to be a direct gate from the road. Grandma remembered going along the path to visit Fanny and Betty. 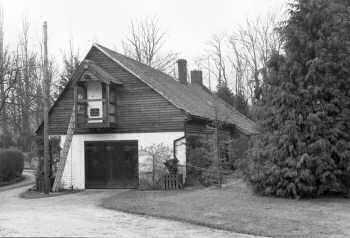 Grandma's father auctioned the mill house. When my father sold it, it was £1200 he got for it. But that's all the bit we see that the Seckers had, the wealthy Seckers, when they were with us, had added on that bit there, there was only originally this first bit. It's nice to see that where the old mill was they have got a barn on it, or something, and it's got engraved on it B.P. 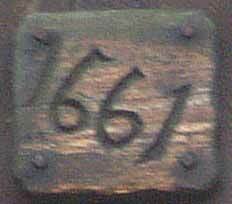 Woolsey 1667 (48), which is most interesting. We've just taken a photograph of that, of the mill house, of course it's had extensions put on, and it looks very grand now, but the old original part is still there. The front door was facing this way but we can't see 'cos there's too many trees. "Isaac had built the Georgian front of the house. William married again and they were married in the Quaker chapel 'cos they were Quakers." "Oh yes, I thought they were, yes." "'Cos that looks like an old Quaker barn, yes?" "Yes. It says that Isaac Secker's portrait. My nephew's got that." "So do you see the Secker family then?" "Ooh no, I don't know anything about them, no." James Empson built the first Quaker Meeting House in 1692 but was burned down c.1770. Isaac Secker, who built the mill house also rebuilt the Meeting House in 1772. Benjamin Postle Woollsey, married Charlotte Gold on 22nd July 22 1823 in Gorleston. Benjamin, son of Benjamin & Charlotte Woollsey of Southtown baptised 27th May 1826 - Benjamin snr’s occupation being given as merchant. Charlotte Woollsey, daughter of Benjamin Postle Woollsey & Charlotte Woollsey of Southtown was baptised on 14th August 1828.